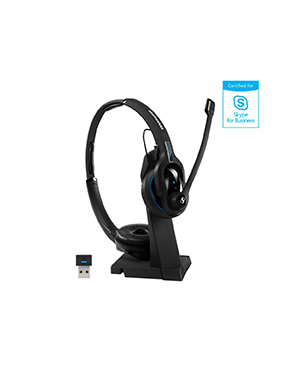 This Sennheiser MB PRO 2 UC ML Bluetooth Headset is premium wireless headset certified for Skype for Business. Perfect for Unified Communications business professionals, the device is able to support the need for wireless communication flexibility on top of high audio quality and incredible all-day wearing comfort. Through the device, users can switch from one device to another simply just to answer a phone call. And this is made possible through the multi-connectivity feature of the device. Users can connect two Bluetooth devices, for which users can choose from and tend calls from. This allows better call handling and management accomplishment, and in the process improving productivity. Are you interested in this headset? Call us now at Australia wide 1300 131 133 for more details! Sennheiser, headquartered in Wedemark, Lower Saxony, and Hanover and led by CEO and Chairman of the Board Daniel Sennheiser, is a private German enterprise determined to help share today’s society, specifically in the field of audio and sound. The company has always envisioned the advancement of the field of audio and sound electronics, and be the one responsible in pushing the said advancements. This vision helps the company in maintaining its passion for excellent and amazing culture of innovation. Sennheiser started out in 1945 with Fritz Sennheiser and 7 other electric engineers and expanded to approximately 2,183 employees working under the company. 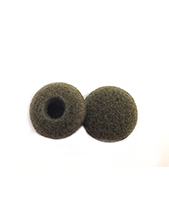 Some of its offers include the following high fidelity products and solutions, including Microphones, Headphones, Telephony Accessories, Avionic Headsets, Personal, Business, and Professional Applications and Solutions, and Consumer, Professional, and Business Audio Electronic Products and Solutions. It is responsible for supporting and introducing trailblazing ideas, setting the trend in the audio industry.